It was in the mountains. She got hit my lightning, and wandered for a while. – Do you think of poetry as useful? – Yes, it has been to me. – Tell me some of the ways it has been useful to you personally. Dear reader, in case you want to know a little more—for instance about page 3 In her essay “Tam Lin, Fair Janet, and the Sexual Revolution,” Martha P. Hixton notes that three motifs listed in Seth Thompson’s Motif Index of Folk Literature are present in the ballad “Tam Lin,” the first being “Girl summons fairy lover by picking flowers.” Citing Barre Toelken, she states that plucking a rose is a basic metaphorical image for sexual activity in ballads, and points out that Janet/Margaret calls Tam Lin by plucking a rose (or two or three) in every variant. “Janet has power over Tam Lin in that, seemingly at least, he cannot appear until she summons him and this summons (picking the roses) is one he must obey.” Hixton’s essay is in Marvels & Tales (Wayne State University Press, 2004), 67-92. // In most variants, Margaret/Janet is warned not to go into these woods because of the presence of Tam Lin. But in the Anne Briggs version, there is no warning. They say you’re a headstrong girl. You run into the woods and pull a double rose. This is later thought to be symbolic. But today, you just pick the flower and he appears, as though called. If you were warned not to come here, he’s the reason why. He pulls you down. Is it wrong? When it’s done, according to the song, you turn “to ask your true love’s name.” But he’s gone, and the woods grow dim. The characters are introduced. A situation that begins to demand a set of changes. The ballad is named for him, although he is not the hero: Tam Lin, Tom Line, Tamlane, Young Tambling. There are many variations. Is he elven or human—is he trapped between worlds? He was enough in your world to leave you pregnant. A servant suggests an herb that will invite miscarriage. Traditional ballad narratives are episodic, relying on dialogue and action. Back to the woods, your father’s woods, to pick the bitter herb and suddenly he’s there again, saying: why do that when you could have the baby, and me, and a whole new life. Seems like some people are born waiting for something—always listening, or looking, feeling toward the future. Other people—it just happens and they don’t know what hit them. The wood belongs to the father. I have the feeling that he set to work. It took him years. What is experimental? just cooking. Same as you. Which has been covered with a white cloth. Even further on, in a small narrative on suicide, another line that strikes: “Art as we knew it (he said) was just designed to get us through our twenties. After that, you’re on your own.” On her own website, she refers to the book as, among other things, “experimental memoir,” and in part of her endnotes, writing: “Although I was thinking in two-page spreads, at some point I realized that I wasn’t actually (physically) making a book. I was making a big rectangular piece of temporary art.” What strikes is the word “temporary,” suggestion, perhaps, that her compositional form wasn’t the book at all, but the way she laid out the pages on her studio wall? 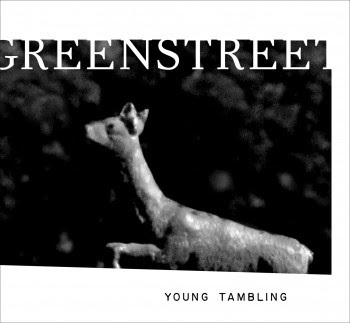 Is Young Tambling, then, presented in a form secondary to the way it was actually constructed? I think it lasts about … twenty minutes. Then they have to use the hack saws. To get it off. Can we recognize a pattern? You seemed to need me but—when you put those big hooves in my lap? How can I recognize the real thing? Sometimes the tiniest breeze will set it off. People don’t get over it. Women, never. This is the devil’s work, this mirror.